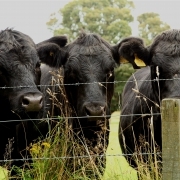 There is more Aberdeen Angus beef sold in this country than is ever produced. Belted Galloway graces more menus than pastures. Gloucester Old Spot pork is lesser spotted than you would be led to believe. 10 years ago the fashion for naming breeds and single farms really took off. The result? Producers and suppliers over promising and chefs having unrealistic aspirations on what is actually achievable. It is more than that as well; there is still a lack of understanding of how farming works and what are the best criteria for knowing you have the best beef. Let’s take the first bold statement: there is more Aberdeen Angus sold in this country than is ever produced. We have all seen the assertion by national burger chains that all their beef burgers are Angus – how many of us also see the small print on the screen? 30 years ago the numbers of the Aberdeen Angus Society in the UK were dwindling. As the markets were flooded with continental breeds the Angus was out of favour. What did they do to increase their membership? They changed it from a pure breed society to one that would accept any beast that had been sired by an Angus bull. The result? Angus crossed with dairy producing a dairy steer slaughtered at 14 months – a world apart from the original vision and far cry from the best beef you can have. Back to the decade of fashion and the single breed. We heard time and time again that an 80 cover restaurant for example was able to get pure breed from a single named farm for all of their beef fillets. Let’s assume that they only want 8 whole fillets of beef per week. They will need to source from one farm that can produce finished cattle at the rate of 3 per week for 50 weeks of the year. That’s 150 cattle per year. In order to produce that level of cattle, a farmer would need a herd of 600 cattle (if we agree that proper suckler beef cattle take between 3-3 ½ years from conception to finish). The average herd size of a single breed cattle in England is 28-50 cows. Then you consider how many single farm pure breeds appear on menus. Butchers continue to help shape a sustainable future for the industry! 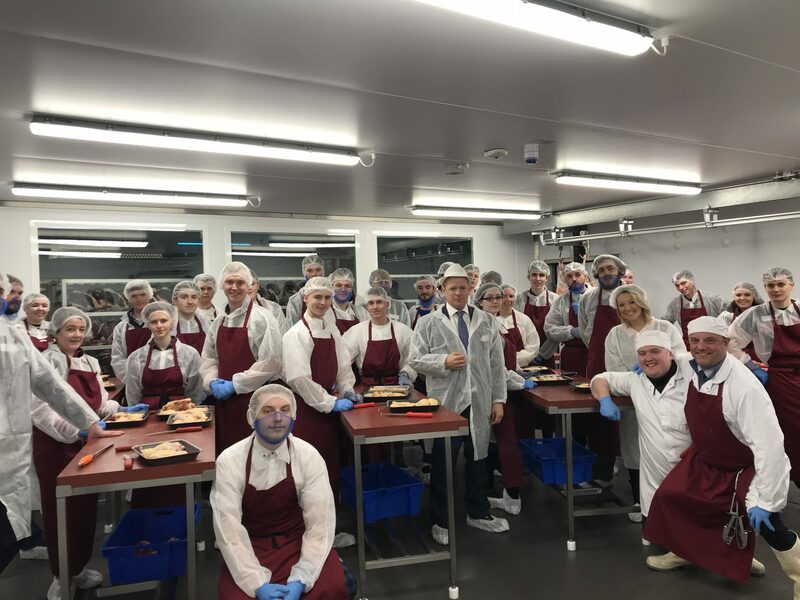 For the second time, Aubrey Allen has held their unique event at their Academy to bring apprentices from the farming, butchery and catering community together in a fitting end to National Apprentice Week 2019. Aubrey Allen, award winning National Butcher based in Coventry worked with colleges and restaurants to create a unique Apprenticeship day. The idea was to give the apprentices an opportunity to shape their own future by facilitating a day of introductions and shared vision. There were short talks from inspirational award winning Farmer, James Evans, European Champion Butcher, Michael Perkins alongside Aubrey Allen Managing Director Russell Allen and Chef, Andreas Antona, to set the tone for the day, which was all about working together to make the future of British food more secure and better than ever. The day revolved around group discussions focusing on what factors each sector considered when rearing or purchasing meat and what benefits there would be to join those thoughts up to create one vision of a more sustainable future. They all took part in a chicken butchery demonstration, a beef tasting session and finished with a dragons den style presentation from the students. It was very interactive and insightful. The apprentices really enjoyed it and left with lots of knowledge. It definitely got them thinking about where and how the food comes into the kitchen as well as what they see at the supermarket. The speakers were great! Sign us up for next time. A massive thank you, the event was superbly well organised and the content was timed perfectly to keep the students interest. We would love to be involved again next year. https://www.aubreyallenwholesale.co.uk/wp-content/uploads/2019/03/IMG_5230a.jpg 3000 4000 aubreyallen /wp-content/uploads/2015/11/AA-Header-Logo-INV.png aubreyallen2019-03-14 13:01:212019-03-14 13:04:44Aubrey Allen's brings the Big Apprentice Day back for 2019! Aubrey Allen butchers in Warwickshire are celebrating as they have won the Chef’s favourite Butcher for the 8th time. The Restaurant Magazine which represents news stories for food service, runs a competition annually where chefs can vote for their favourite products, suppliers, and brands in the hospitality sector. Thousands of chefs voted for the awards and Aubrey Allen was voted Best Meat Supplier. Managing Director Russell Allen said “ We are thrilled to have been named as the chef’s favourite supplier once again. We are so lucky to have such a dedicated team who understand our values”. Award winning butchers, Aubrey Allen are celebrating again as their founder’s granddaughter has scooped a National Industry Award. 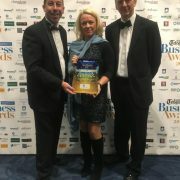 Lucianne Allen, a former criminal Barrister, has worked in the family business for 10 years and on Friday received Meat Businesswoman of the Year – Wholesaling at the first Women in Meat Industry Awards. 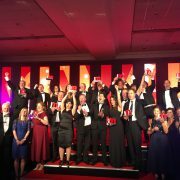 The awards held by Meat Management at the Royal Kensington Garden Hotel on the 16th November relied on votes from people within the industry after Lucianne was shortlisted for the awards and went on to receive most votes. https://www.aubreyallenwholesale.co.uk/wp-content/uploads/2018/11/IMG_0679.jpg 2038 1394 aubreyallen /wp-content/uploads/2015/11/AA-Header-Logo-INV.png aubreyallen2018-11-19 10:20:582018-11-19 10:21:11Barrister turned butcher wins Women in Meat award! 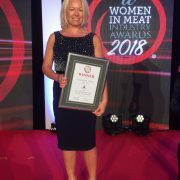 Granddaughter of the company founder Aubrey, has been nominated in this year’s Inaugural Women in Meat Industry Awards which take place in London on 16th November 2018. Lucianne, Sales and Marketing Director has been nominated in one of six categories, Meat Businesswoman Award – Wholesaling by her colleagues. The award is voted for by her industry colleagues, customers, and chefs with Lucianne one of four shortlisted for the award. Lucianne was brought up in the industry through her father’s butcher shops. She trained as a barrister and enjoyed 10 successful years at the criminal bar before re-joining the family business in 2008. As Sales and Marketing Director, Lucianne is fully immersed in the day to day running of the business which has over 170 staff. Declining to have her own office when the wholesale premises were recently expanded, Lucianne sits herself within the heart of the sales team where she leads by example, talking and meeting with customers and building great partnerships with chefs and establishments. She is constantly seeking to review and improve the business, and never rest on your laurels is something that she emits through the Aubrey Allen team. This year, Lucianne has given one-to-one coaching to the sales team each week, which not only develops their skills but feeds through her drive for success that Lucianne is so passionate about. She leads from the front and involves everyone to maximise the potential of the business. She works closely with Russell, her brother and managing director providing a supporting role not only with the wholesale business, but the award winning retail shop Aubrey Allen Butchers and Deli, and Oscar’s French Steakhouse & Bistro. 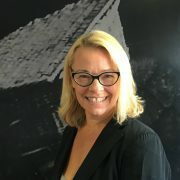 In the last 18 months, Lucianne has established a marketing team across the business who support her with her vision of building on the relationships that Aubrey Allen have with their partners. As the business grows, Lucianne maintains the family ethos and company values that the team work with every day. Passionate about education, Lucianne led the butchery industry as chair of the Trailblazers apprenticeship group which received ministerial approval in 2014 for butchery apprenticeships.  Following on from that success, Lucianne helped to set up Aubrey’s Academy, a standalone butchery academy which Aubrey Allen use to educate within their own business as well as clients businesses. This year saw the first Big Apprenticeship Day which was held during National Apprenticeship Week. 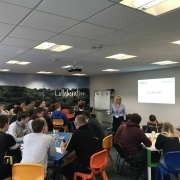 Apprentices from farming and catering were invited to join our butchery apprentices for an inspirational day led by Lucianne at Aubrey’s Academy in a bid to bridge the gap within these industries. She is now building on these links with local colleges who are eager to be a part of what Lucianne is achieving with education. Lucianne regularly presents awards, most recently The National Restaurant Awards (Sustainable Restaurant of the Year) and was a keynote speaker at Meatup in 2017, providing a seminar on Butchery Apprenticeships , which was widely regarded as outstanding. She was invited to judge at the Publican Awards, as well as other national events as a speaker. She has been instrumental in Aubrey Allen being awarded Best Catering Butcher twice this year as well as Best Restaurant for Oscar’s. Her enthusiasm and drive is infectious, and one that keeps the business continually moving forward. Aubrey Allen’s Big Apprentice Day wows the industry! Aubrey Allen organised a unique event at their Academy to target Apprentices from the farming, butchery and chef’s community. We believe, a first in the food chain industry. Aubrey Allen, award winning National Butcher based in Coventry worked alongside Paul Cadman from Crosby Management Training to create a unique Apprenticeship day. The idea was to give the apprentices an opportunity to shape their own future by facilitating a day of introductions and shared vision. There were 3 short talks from an inspirational Farmer – Robert Caldecott, Butcher Ambassador – Chris Riley and Chef – Andreas Antona, to set the tone for the day, which was all about working together to make the future of British food more secure and better than ever. Rachel Barnwell, an agricultural intern at Aubrey Allen, helped to inspire the event and had already organised for 30 young farmers to attend an evening event at the Academy. The Apprentices were treated to a great breakfast on arrival, there were group discussions about what factors each sector considered when rearing or purchasing meat and what benefits there would be to join those thoughts up to create one vision of a more sustainable future. They all took part in a hands on mini butchery tutorial and a beef tasting session. I feel the event was a massive success and the apprentices could not stop talking about the day for the entire return journey. They all seemed to take something different back from the event, from the practical chicken, to socialising with their peers from within the industry and also from the very inspirational speakers that were there. 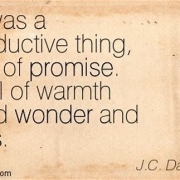 One thing that they could all seem to agree on though was how valuable and enjoyable they found the day. A wonderful team environment was created from the start, everyone being there for the same thing and wanting to work towards a better future for both the entire industry (farm to fork) and for the success of the apprenticeships. By enhancing quality of produce, increasing pride in working in this most valuable of sectors and the willingness to work together to achieve this. I found it very interesting to have all different apprentices sharing ideas. The feedback we have received from the Apprentices has been outstanding, I fully understand the cost and time Aubrey Allen’s invested in this event and can’t thank you enough. I would like to offer any help I can to develop this into a regular event and it would be lovely to see this model develop into regular events getting Apprentices together from various industries who share a common interest or goal. 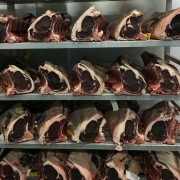 https://www.aubreyallenwholesale.co.uk/wp-content/uploads/2018/03/IMG_5519.jpg 1536 2048 aubreyallen /wp-content/uploads/2015/11/AA-Header-Logo-INV.png aubreyallen2018-03-14 13:18:022018-03-14 13:19:59Aubrey Allen's Big Apprentice Day wows the industry!